Fall injuries are common in children below the age of 18 years (infants, young and old children). Even though most fall injuries are non-serious, injuries sustained from falling from heights remains the leading cause of death in children around the world. 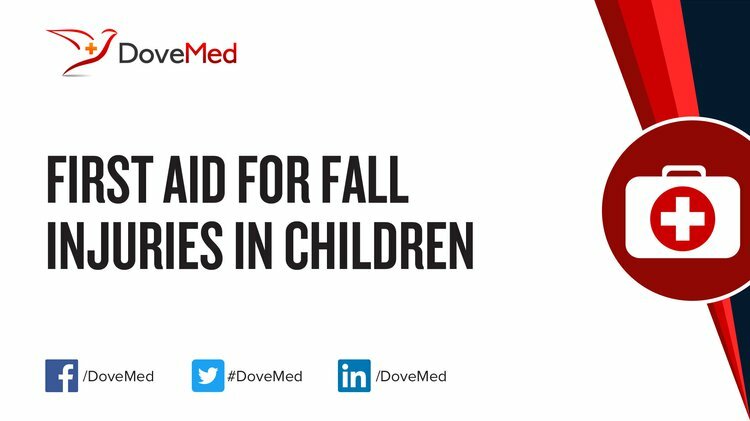 What is Fall Injuries in Children? What are the Causes of Fall Injuries in Children? What are the Signs and Symptoms of Fall Injuries in Children? How is First Aid administered for Fall Injuries in Children? Who should administer First Aid for Fall Injuries in Children? Any bystander can administer first aid; however, the affected individual must seek medical assistance for a definitive management of fall injuries. What is the Prognosis of Fall Injuries in Children? How can Fall Injuries in Children be Prevented? Fall-proof the home; address slippery smooth surfaces that poses risk for falls, and address issues of loose rugs, mats that curl at the ends, etc. Kalkwarf, H. J., Laor, T., & Bean, J. A. (2011). Fracture risk in children with a forearm injury is associated with volumetric bone density and cortical area (by peripheral QCT) and areal bone density (by DXA). Osteoporosis international, 22(2), 607-616. Easter, J. S., Bakes, K., Dhaliwal, J., Miller, M., Caruso, E., & Haukoos, J. S. (2014). Comparison of PECARN, CATCH, and CHALICE rules for children with minor head injury: a prospective cohort study. Annals of emergency medicine, 64(2), 145-152. Leonard, J. C., Kuppermann, N., Olsen, C., Babcock-Cimpello, L., Brown, K., Mahajan, P., ... & Hoyle, J. D. (2011). Factors associated with cervical spine injury in children after blunt trauma. Annals of emergency medicine, 58(2), 145-155. Babcock, L., Byczkowski, T., Wade, S. L., Ho, M., Mookerjee, S., & Bazarian, J. J. (2013). Predicting postconcussion syndrome after mild traumatic brain injury in children and adolescents who present to the emergency department. JAMA pediatrics, 167(2), 156-161. Coronado, V. G., Xu, L., Basavaraju, S. V., McGuire, L. C., Wald, M. M., Faul, M. D., ... & Hemphill, J. D. (2011). Surveillance for traumatic brain injury-related deaths: United States, 1997-2007. Granacher, U., Muehlbauer, T., Gollhofer, A., Kressig, R. W., & Zahner, L. (2011). An intergenerational approach in the promotion of balance and strength for fall prevention–a mini-review. Gerontology, 57(4), 304-315. Hedström, E. M., Svensson, O., Bergström, U., & Michno, P. (2010). Epidemiology of fractures in children and adolescents: Increased incidence over the past decade: a population-based study from northern Sweden. Acta orthopaedica, 81(1), 148-153. Li, R. G., Yu, B., Wang, G., Chen, B., Qin, C. H., Guo, G., ... & Ren, G. H. (2012). Sequential therapy of vacuum sealing drainage and free-flap transplantation for children with extensive soft-tissue defects below the knee in the extremities. Injury, 43(6), 822-828. Max, J. E., Keatley, E., Wilde, E. A., Bigler, E. D., Schachar, R. J., Saunders, A. E., ... & Levin, H. S. (2012). Depression in children and adolescents in the first 6 months after traumatic brain injury. International Journal of Developmental Neuroscience, 30(3), 239-245.